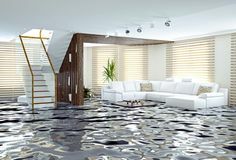 Water damage can a create serious problem to many homes, but there are things you can do prevent this. It is a way cheaper that paying later for the damage water created. Water damage is the number one problem, why houses fall apart. It can weaken a foundation, the most important part that keeps your house together. Apart from this, it can damage your walls and cause unwanted diseases. 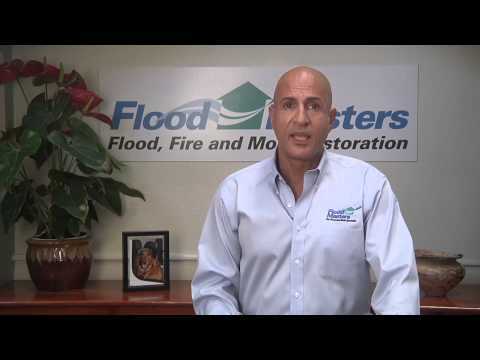 Bellow check out our top three tips to protect your home from water damage. Why is drainage important? It can weaken your foundation, cause wall cracks, uneven settings and finds its way to enter your house. What can you do to prevent this? You should clean your gutters regularly. A clogged gutter will send the waters over them, soaking the outer part of your house. Make sure to clean downspouts as well, in this way you will ensure secure water flow. For people who love trees and beautifully arranged yard with vegetation, should pay attention to them. They can cause you a lot of damage if you don’t maintain them regularly. Their roots can wrap around the pipes and break them. This is one of the reasons why you should keep vegetation out of utility pipes. Remove trees and shrubs that represent a danger. If you know the location of the water main, you will be able to avoid any major damages. It allows you the possibility to react fast if your pipes break. If there is no water running through the house, the broken pipes won’t be able to ruin the interior of your home. To be more secure you should check your home appliances every now and them. Make sure to follow the manufacturer instructions. Considering water leaks, if you choose to ignore even smaller problems, it can create unnecessary repairs. Such as mold, mildew or dry rot. You should have in mind that insurance only covers the sudden and accidental damage. If you have failed to check your pipes and leaks, be prepared to pay a lot of money to rectify the damage. It is a small electronic device similar to a sound alarm. When it comes in contact with moisture, it releases a sound effect. The great advantage of water detection device is that it can sense even low levels of water of slow leaks that can go undetected. You should install it near water sources, washing or dishwashers. 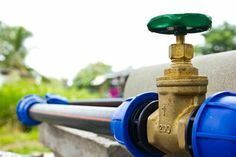 If the water pressure is too high, it can cause pipes’ damage. To avoid any problems, you should buy a pressure gauge and check the pressure often. The gauge will read the pressure and give you the exact state of your pipes.